We’re more focused than ever at performing research and development to create the best beauty products in the world. The incredible resilience of our team is illustrated by the fact that our formulations and technical contributions have been winning beauty awards from the toughest editors in the world, including Allure, Vogue, and Cosmopolitan. Our projects have been featured in the New York Times and on TV. The Good Morning America show most recently and the Today Show is coming soon. We’ve given our blog a digital facelift. In fact, it’s much more than a facelift because we’ve made the design very clean, lightweight and responsive. Which means that it will be easier to read and faster on your desktop. Most importantly, you’ll be able read it easily on your iPhone, iPad, Android or BlackBerry. 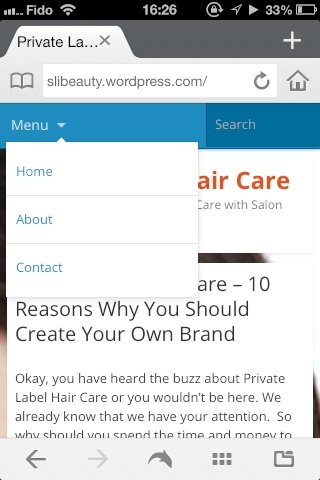 Here’s an example of what it will look like on a mobile device. These examples are taken from an iPhone. No more squinting to see the menu items. What do you think? Keep sending us your comments and questions. 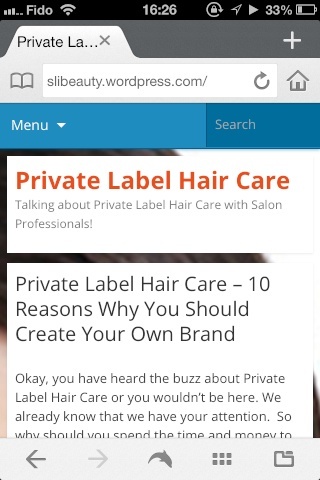 This entry was posted in SLI Beauty. Bookmark the permalink. I used to be a customer of yours. With the minimums that you require now (where before I was able to purchase and sell to my loyal customers) it is impossible for me to purchase the new required amount and sell. My biggest seller was argan oil and I used to purchase 2 gallons at a time.. now with 3×60 gallons it is impossible to support that kind of miniums. I would discourage any salon who is thinking of entering this venture unless they have 20 plus stylists and $100,000 to gamble. Personally I LOVE your products BUT your service, response and change in business format does not support small independent salons and has thoroughly disappointed me. Thanks for sharing your comment. After reading it a second time, I noticed something very important must have been lost in translation. The minimum order quantity for bulk on most items is only 60 litres (3 x 5.28 ~ 16 gallons). Four products, Shea Butter & Emu Oil Treatment, Shine Serum, Shine Serum Light and Argan Oil Serum, are now available in single 20 litre (5.28 gallon) containers. As far as we know, we’re still the only lab in North America that offers the ability to build a CUSTOM professional private label hair product line that includes choice of fragrance, botanicals, and colour at only 60 litres. To put this in perspective, at 3 x 60 gallons, we’d still be only half way to the 300–430 gallon —approximately 5000, 250 ml (8.45 fl. oz.) item— minimum order quantity required by most labs. It sounds like we may have had a homophone (words that sound the same — sixteen / sixty) create some confusion. Hopefully, this clarifies things. We are sorry for any inconvenience that may have occurred. 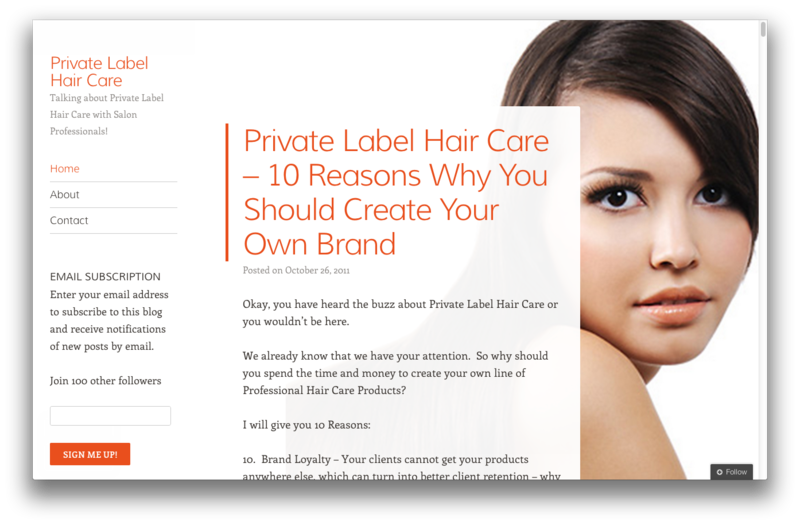 As much as we loved being able to offer custom private label hair products at exceptionally low levels, we learned why we were the only ones doing it. It’s not sustainable. We believe and passionately care about helping independent salons get the opportunity to bring the most create and original products to market. We hope we’ve found a pretty good balance between being sustainable and offering customization in an affordable way.